To keep track of the cars I have some small plastic containers that I ordered from HERE that I put the students names on using labels. 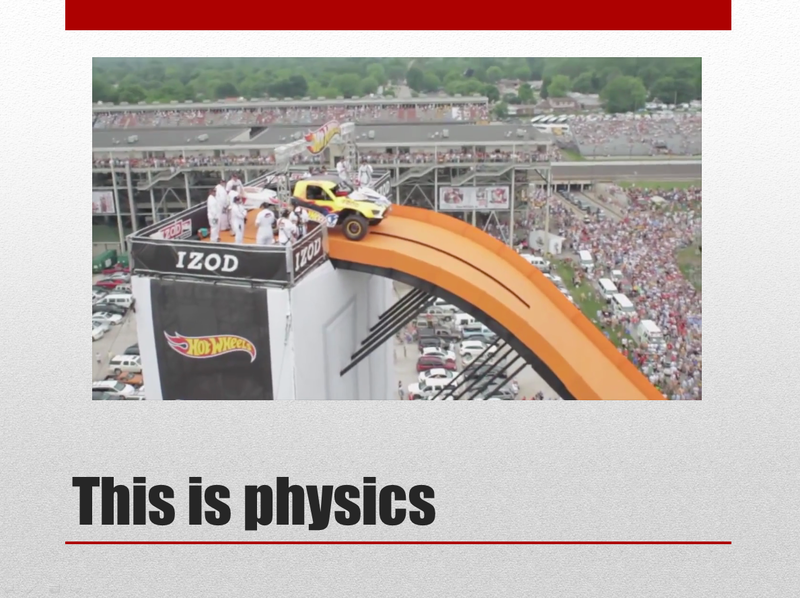 Here is the Power Point presentation that I use to introduce physics and Hot Wheels. 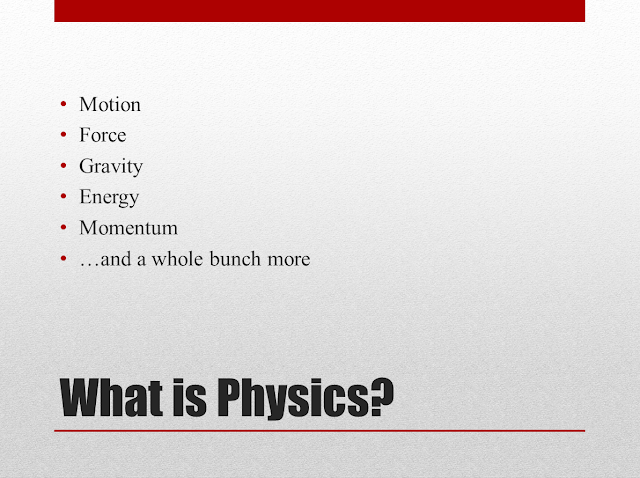 Anywhere I've use "physics" the word "science" would work just as well. 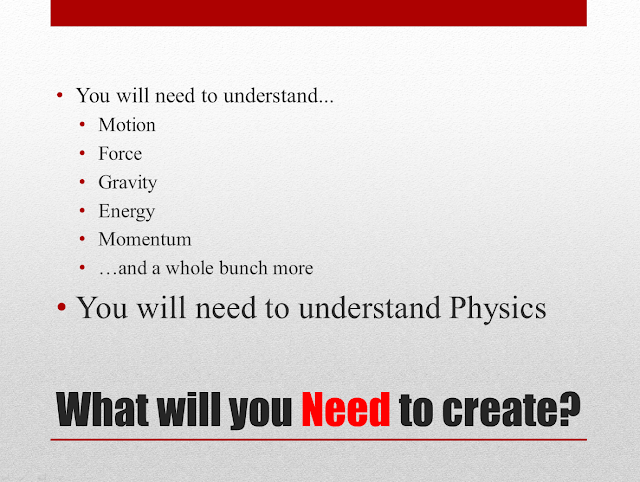 In this first slide I introduce several of the concepts that we will be covering in class. In the next several slides I show them some video clips of some amazing Team Hot Wheels stunts. 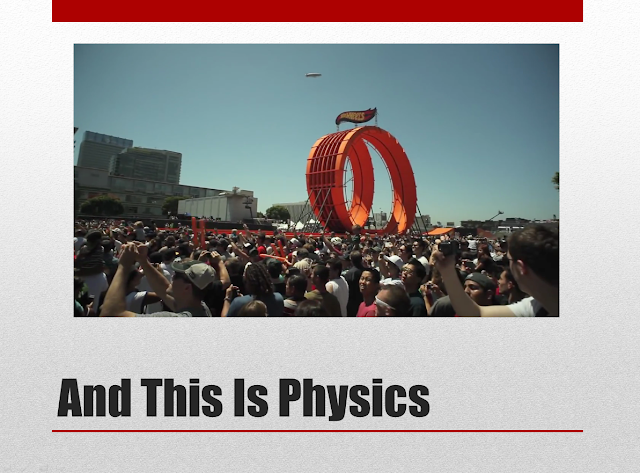 Here is the video clip from this slide. 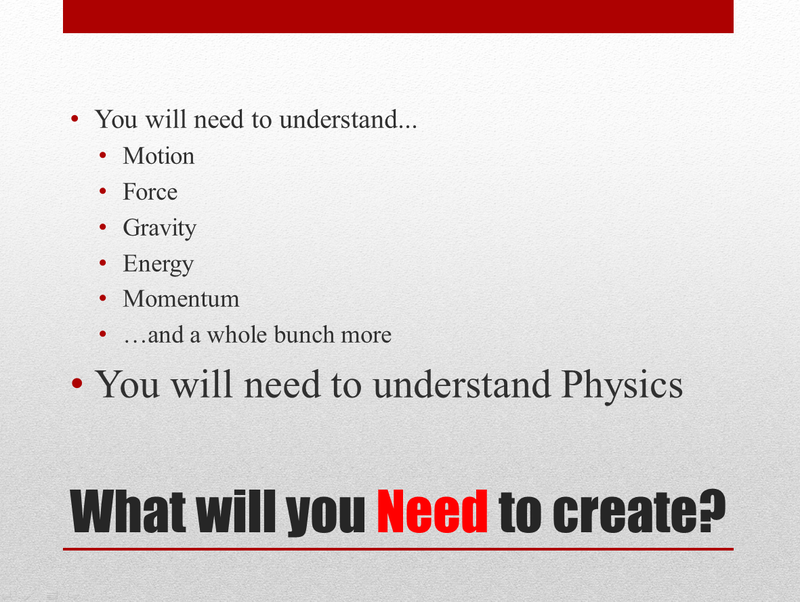 Here is the next slide. Here is the video clip from this slide. For me, the point of this clip is to help inspire and motivate my students. 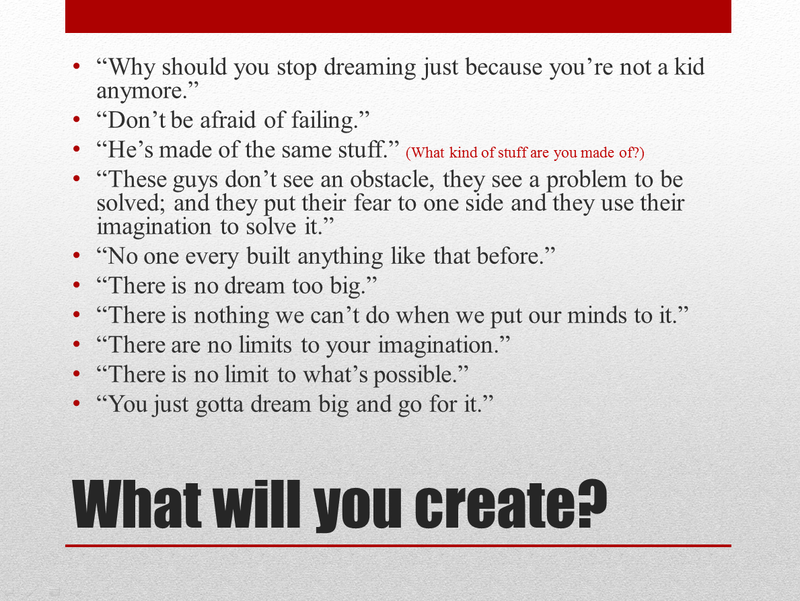 The next slide has several quotes from the previous video clip. 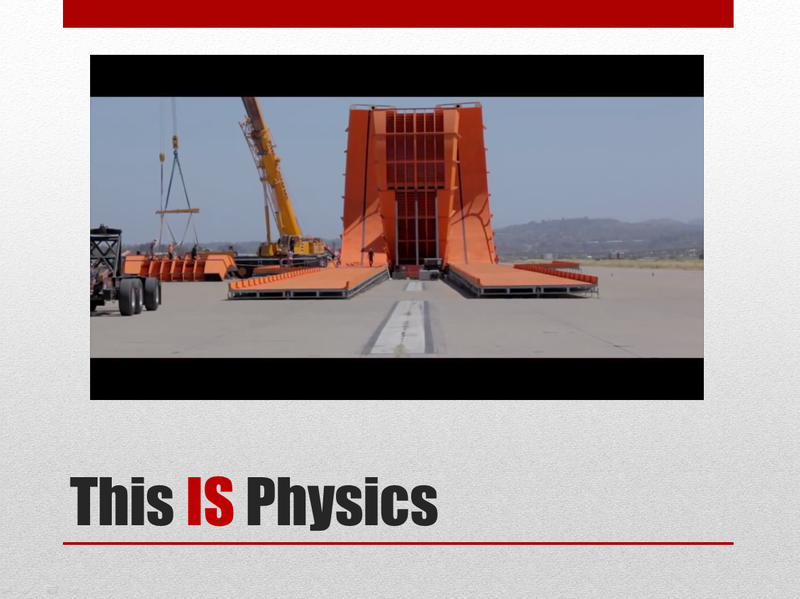 We spend some time discussing some of them. Depending on how much time you want to take, you could even have the students spend a few minutes picking one or two of the quotes and writing a response to them. In addition to our Hot Wheels labs, we do several design projects. 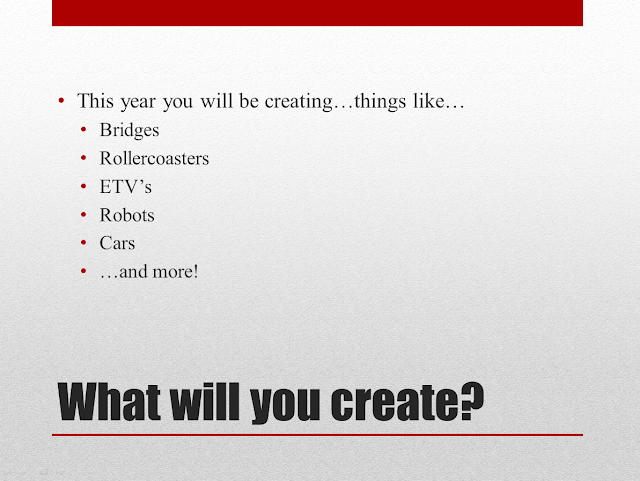 In this slide I list several of the projects that we will be doing throughout the year. Here is the next slide, tying in the first slide where I said what physics was. 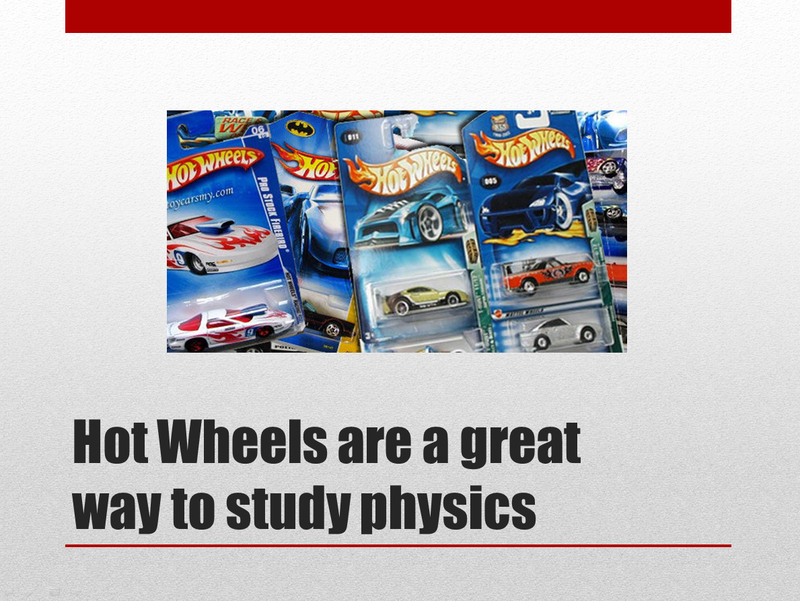 With this next slide I explain that we will be using Hot Wheels to help us learn many of the concepts listed. 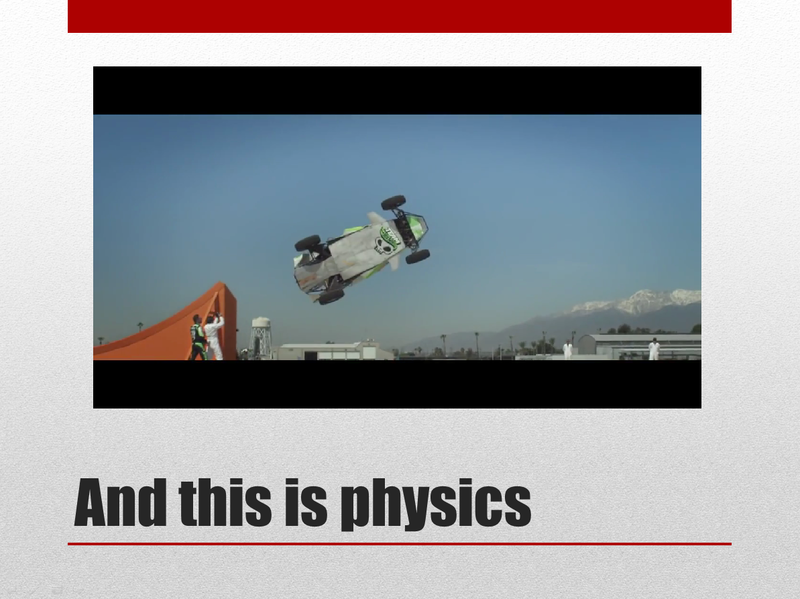 I explain how they are going to "shop" for a car and that it will be their car for the rest of the year.